A HOMEGROWN startup is improving its food delivery services through innovation mainly utilizing another e-commerce platform. Ace Muyco, co-founder of Juan Ride, said they are rebranding their service from the previous messenger chat to a website type. 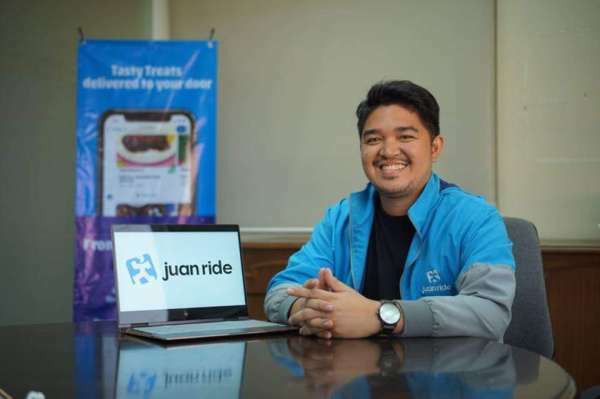 Muyco said the juanride.ph website, which will be launched Friday, March 22, is positioned to provide more convenient food delivery services and cater to more clients. “Through this new platform, we want to provide better user experience,” he said, explaining that the website offers easier order and faster delivery services. Ace's brother Argie, the chief executive officer (CEO) and founder of Juan Ride, started the food delivery service via Facebook messenger in October 2017. The Bacolod-based startup is one of the pioneers of such food delivery scheme in the city. It now has about 60 partner-restaurants in the cities of Bacolod and Talisay, which had no delivery services before. The value proposition is to boost the local restaurant economy by opening up a digital marketplace where one can order and get food delivered, the founder and CEO in a statement said. His brother said they are upbeat to boost market presence by using a better platform. The website, he said, carries more visuals and contents that are more user-friendly as it provides more accurate details like bills and faster transactions. Aside from the convenience it offers to the clients, it also helps further promote local restaurants and enable them to cater to a larger number of customers. The business has also provided employment opportunities for Negrenses. The company currently has 15 Juan Riders, who are able to get a share from the payment of the clients by delivering their orders. Meanwhile, Argie joined the “The Final Pitch,” a television reality show for entrepreneurs on CNN Philippines.